They were filled with copies of Mass Effect 3, hoodies, even branded water bottles. But what became of these prize-filled payloads? Launched hours apart near the sleepy market town of Saffron Walden, both balloons soon sailed southwards. The first landed in Beacon Wood Country Park near Dartford, the official Mass Effect 3 Twitter announced at 3.50pm. Gamers expected to be able to track the balloon via EA's Mass Effect 3: Space Edition website, but technical problems left EA posting coordinates via Twitter. Four minutes after confirming the first balloon's location, ME3's Twitter confirmed the prizes had been claimed. "Balloon has been recovered and fans are on the scene," EA said. "We apologize for the technical hiccups, earlier today." Twitter user "@ToDoMe" was one of the first on the scene, almost an hour before. At 3.11pm he claimed: "We have the balloon. It's over, it landed. Why hasn't anyone listened to me yet?" The second balloon was launched later in the afternoon and landed in apparent no-man's land: south of the M25, not far from Tonbridge. "Don't have coords yet but the team says it landed in a farm. Will recover and take to a more friendly location," EA's feed claimed just after 7pm. "Ground crew being attacked by cows," EA added. "Remember this balloon doesn't have copies we have to mail them to you. Cows did not eat copies." The London launches follow successful missions in Las Vegas and New York. 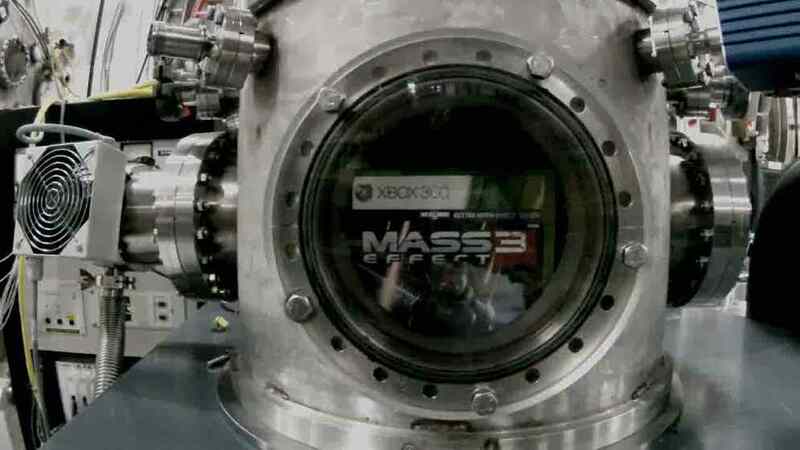 But two days after Mass Effect 3 blasted off over the skies of San Francisco, fans are still unable to retrieve the parcel. "We're figuring something out, but it landed on private property," EA tweeted. French fans have also been disappointed - the planned Parisian launch had to be called off entirely. "Due to regulations beyond our control we were unable to execute the Paris Space Edition Launch," EA claimed. C'est la vie. German friends get the final balloon launch tomorrow. Fingers crossed.